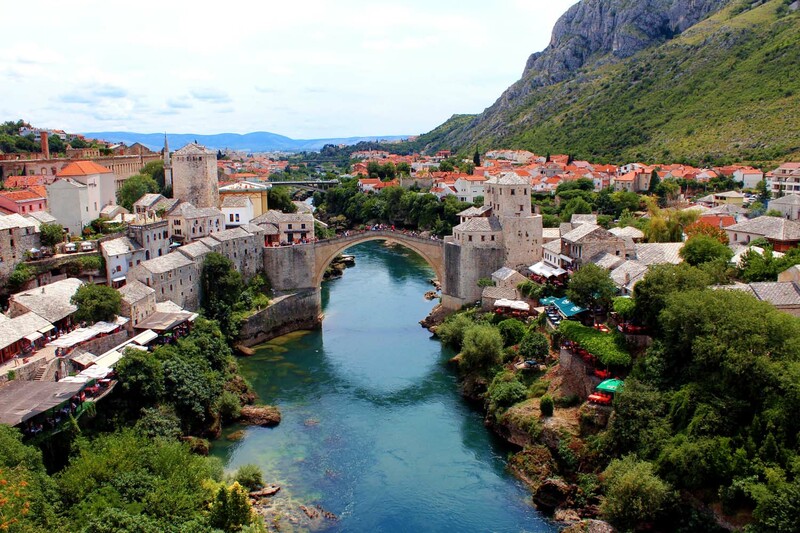 I visited the charming city of Mostar during a day-trip to Bosnia & Herzegovina from Dubrovnik. I have to admit, this place really surprised me. Mostar is situated in the region of Herzegovina, on the Neretva river, and its name comes from name of the bridge over the river, the Stari Most. The ride from Dubrovnik to Mostar in itself was pleasant, but crossing the border was a little complicated since we needed to stop three times: once at Neum to enter Bosnia, once at Neum again to enter Croatia, and finally once at Metkovic to enter Bosnia. Yep, there is a tiny little slice of land in the middle of Croatia which is territory of Bosnia & Herzegovina. Anyway, after almost 3 hours of driving we arrived in Mostar, and the first thing I noticed was this beautiful bridge, Stari Most. The bridge was originally built by the Turks in 1566, it was destroyed in 1993 during the war, but rebuilt in 2004. 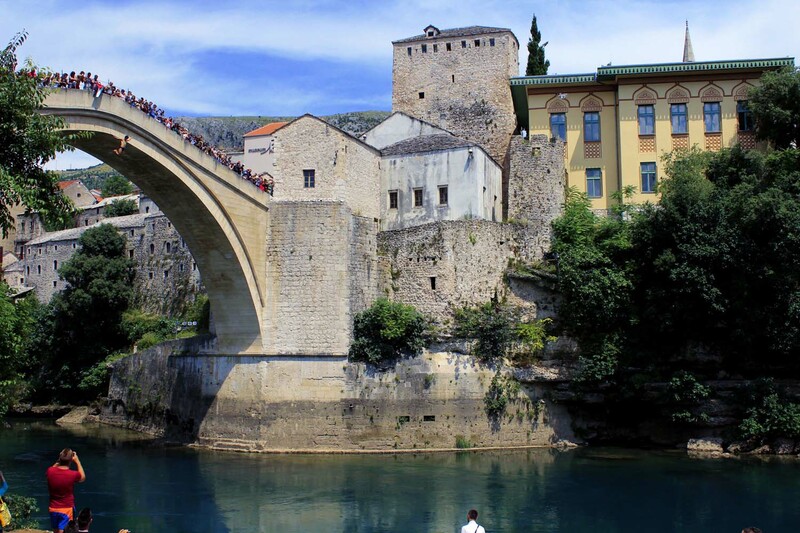 The bridge is the highlight of Mostar and is a UNESCO World Heritage Site. 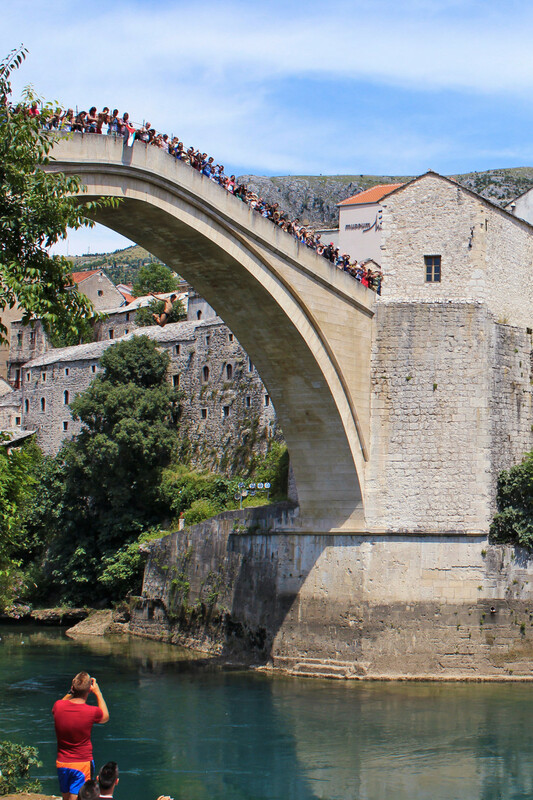 Fun fact: if you’re lucky, you might see members of the Mostar Diving Club diving off the bridge. Yes, you read that right. Locals and intrigued visitors have been braving the 27 m – 89 ft jump for decades. Crazy people! Note: it is customary to give the divers a few KMs after they make the jump. Another thing I really enjoyed was the Koski Mehmed Pasha Mosque, a small and pretty Ottoman mosque built in 1618. Is also possible to climb the minaret from the inside and enjoy a breath-taking view over the town. Just 40km south Mostar is situated one of the most beautiful waterfalls I’ve ever seen in my life. 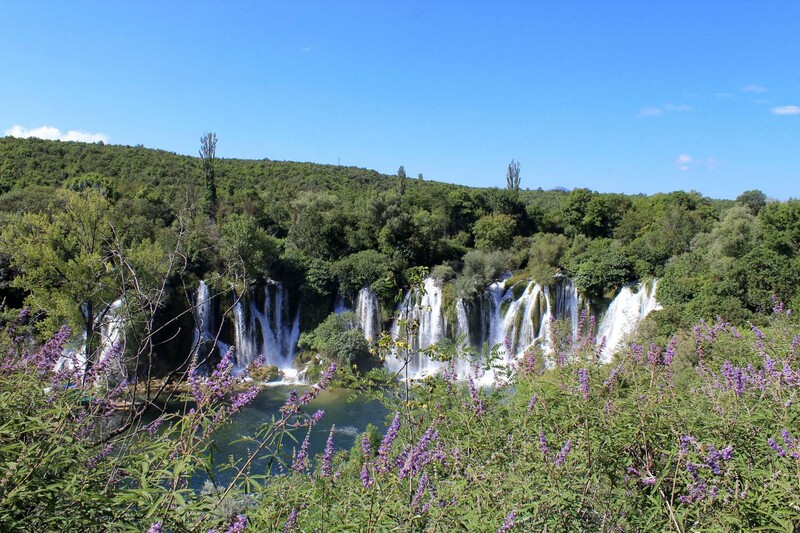 The falls are called Kravice Falls, and they are 25 meters tall. They looks amazing from the street, and even better when you come closer. The only problem is the water is usually freezing, and even if outside there are 29 °C, the temperature of the water is around 9-10°C. But I couldn’t resist and I dived anyway, it felt amazing to swim under the falls. Trips for Mostar are completely organized by travel agencies in Dubrovnik, but there aren’t group tour for Kravice falls. What you can do is to ask a travel agency for a private day tour, and they will give you a car with driver at your disposal for the day. Of course you can simply rent a car and try to go on your own, but remember that crossing the border is a little complicated. 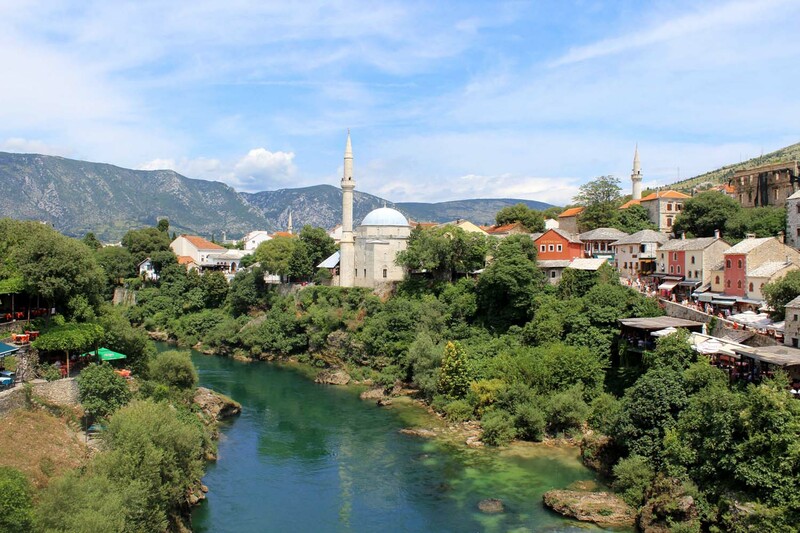 Have you ever been to Mostar?